This book is utterly charming. Skilley, the alley cat with a secret, and Pip, the intelligent mouse, make a delightful duo that readers will find an immediate liking to. Other characters are also well developed, such as the cute little mouse named ‘Too’; “As in ‘too loud, too curious, too impulsive’. If one can be too much of anything, that’s Too.” to quote Pip on page 47. The interactions between Skilley, Pip (and the rest of the mice), and Maldwyn the raven are adorable (as well as the various human perspectives on everything) and the setting is amazing. On many pages there are detailed pen and ink illustrations that really make the story. The illustrations really help you envision the already-loveable characters. Skilley and Pip also cross paths with Dickens, the author who is desperate to find an opening line for his story. Readers also get to peek at Dickens papers, which has some hilarious lines about the writing process that every writer will recognize and every reader will enjoy. 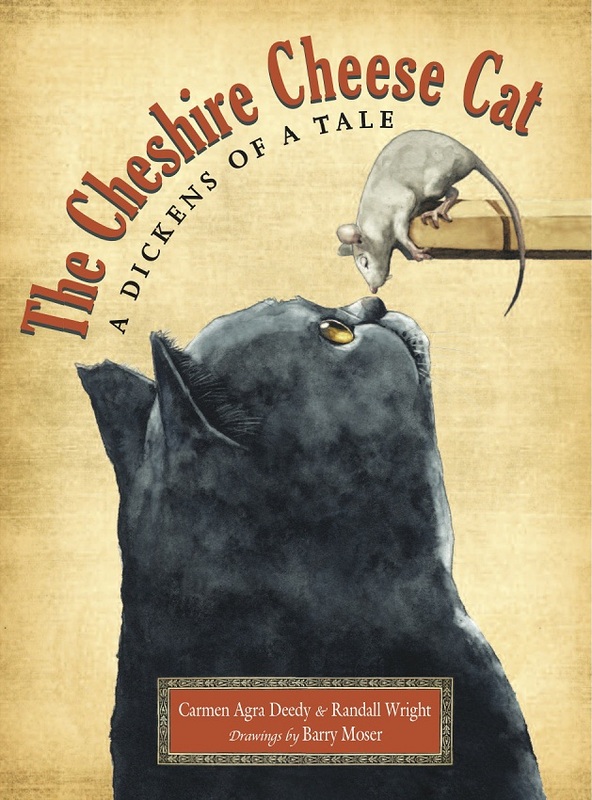 Filled with both laughable and touching moments, I would definitely recommend The Cheshire Cheese Cat: A Dickens of a Tale. Although a middle-grade novel, this has both the intelligence and cuteness quotients to charm the whole family. I’m cynical, but I have a hard time being cynical about books that have cats as main characters in them. Check out the book’s website!